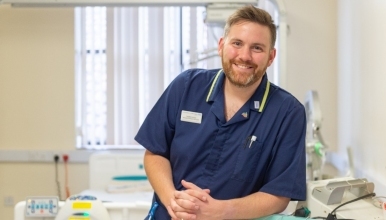 If so an exciting opportunity has arisen for a skilled, motivated and experienced surgical band 6/7 nurse to join our established Day Case Unit at The Royal Shrewsbury Hospital as Ward Manager. The day unit is a very busy department with a high turnover of patients requiring a variety of procedures. The Day Case Unit provides high standards of pre and post-operative care to patients undergoing both minor and major surgical procedures. The successful candidate will be expected to be a motivated leader, with excellent proven managerial and leadership skills, who has the drive and passion to create an inspirational learning and working environment that continuously strives for the highest standards of quality care. You will demonstrate a caring, supportive and professional attitude when welcoming patients to the department. Excellent communication skills with patients, relatives and colleagues are essential to this role. The ward manager will oversee the daily running of the unit, ensure all staff are trained at a high level to deliver a multitude of services to a wide range of patients and ensure high quality, evidence based care is provided at all times. You will be able to manage your own workload of admissions ensuring that all patients are safely prepared for surgery. While on Day Surgery Unit you will be responsible for safe, nurse-led discharges for a range of procedures. You will be supported in your role by the Matron and a team of nursing staff, with close links to the Theatre and Pre-Operative Assessment departments. Informal visits are welcome and encouraged and we look forward to hearing from you. Please note that the forthcoming interview/ assessment days will take place in mid-May 2019 at The Royal Shrewsbury Hospital.